I don’t know about your kids, but my nieces get so excited when I give them a smoothie! Maybe it reminds them of ice cream or a milkshake, but I don’t complain because I know I’m feeding them something really nutritious while they’re under my watch. Anyone can pack so many great ingredients into a healthy breakfast smoothie (fruit, veggies, seeds, yogurt) and it’s still just as delicious. 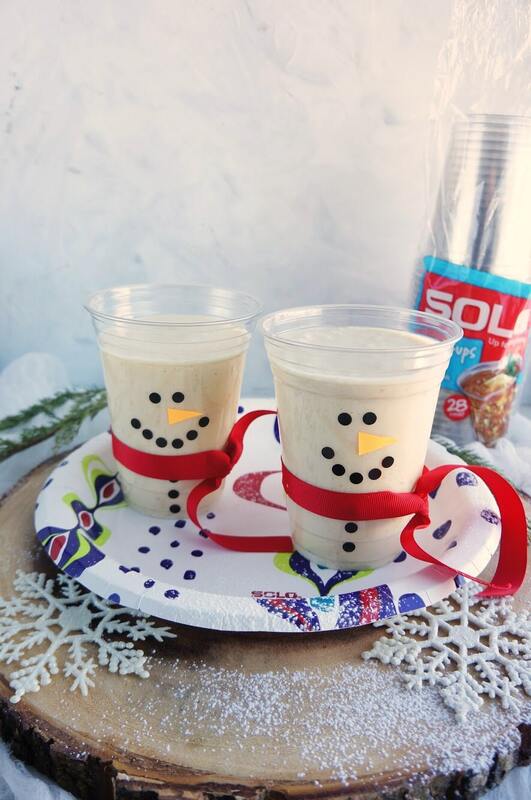 I’m teaming up with Solo Cup today to show you how to make these adorable snowman smoothies to start your day with a healthy boost of your daily nutrients! I have two beautiful nieces that live in the suburbs of Chicago, and we love spending time in the kitchen together. They’re 6 and 4 and when they were little, they were the best eaters. I had such high hopes of their gourmet pallet continuing into their adult years, but my dreams were quickly crushed when one day, the older girl declared that she hated all vegetables! 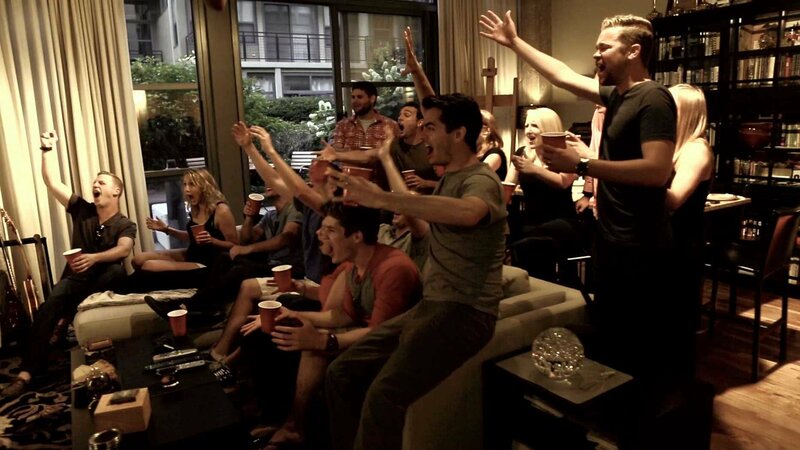 My heart shattered into a million pieces. Luckily, Auntie Nicole knows LOTS of ways to sneak fruits and veggies into their diet when we spend the day together. Smoothies are a great way to mask all those fruits and veggies. Why are smoothies good for you? 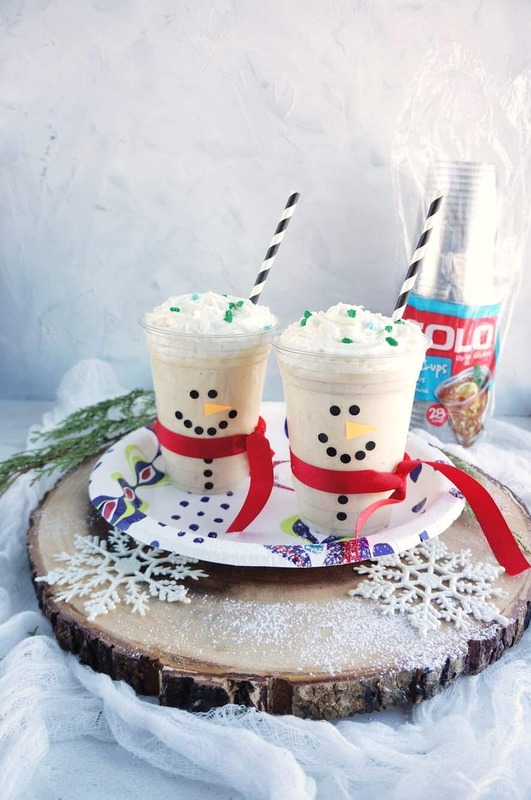 Not only is this snowman smoothie adorable and delicious, it’s loaded with lots of good stuff. I used coconut milk for a liquid in this smoothie, and I’ll tell you why. Coconut milk is loaded with so many nutrients, and tastes amazing! Coconut flesh is packed with fibre, vitamins C, E, B1, B3, B5 and B6 and minerals including iron, selenium, sodium, calcium, magnesium and phosphorous. As an added bonus, if you’re sensitive to dairy, unlike cow’s milk, coconut milk is lactose free so can be used as a milk substitute by those with a lactose intolerance! It is a popular choice with vegans and makes a great base for smoothies like this one! Why should I add protein to my smoothies? 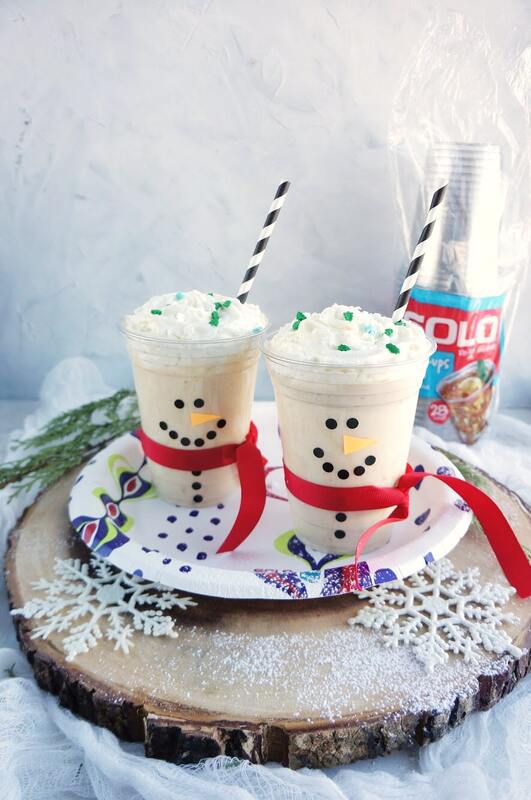 I also added some whey protein powder to these snowman smoothies. Not only does it provide many benefits to adults, like all the essential amino acids you need on a daily basis, whey protein is known to improve the immune response in children with asthma. Overall, whey protein has a high nutritional value, and is one of the best dietary sources of high-quality protein. It is highly digestible, and absorbed quickly compared to other proteins. 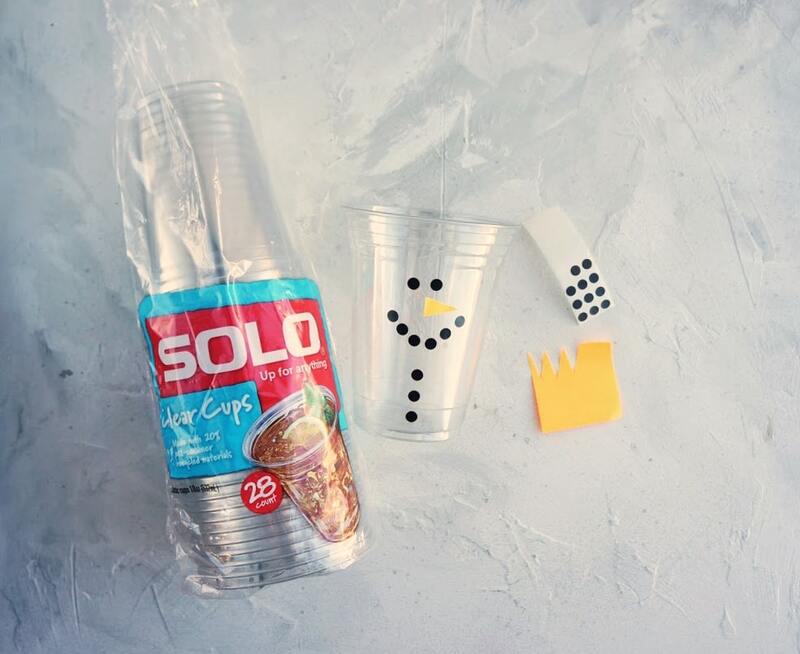 By sticking on some black dots and a post-it triangle, you can transform a plain Solo 18 oz Eco-Forward plastic cup into one of winter’s most beloved creations. An adorable snowman! 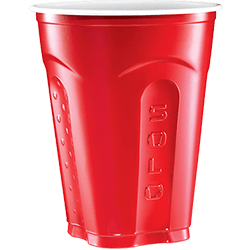 How do I make a snowman smoothie cup? Now let’s make the healthy smoothie! What do I put in a healthy snowman smoothie? Ground Flaxseed – this will keep you feeling full without weighing you down. It’s packed with fiber that moves through your GI tract undigested, combating those mid-morning cravings. It’s also one of the best plant-based sources of omega-3 fatty acids, which are essential for supporting cardiovascular health. Hemp seeds – Rich in essential fatty acids and bursting with high-quality protein, they also promote digestion by providing fiber and contain a hefty chunk of vitamin E, potassium, and phosphorus. Chia seeds – They’re rich in heart-healthy omega-3 fatty acids, protein, and whole grains. They’re also loaded with fiber, plus lots of vitamins and minerals. Place all the ingredients in a blender or Vitamix and blend for 1 minute, or until everything is blended and smooth. 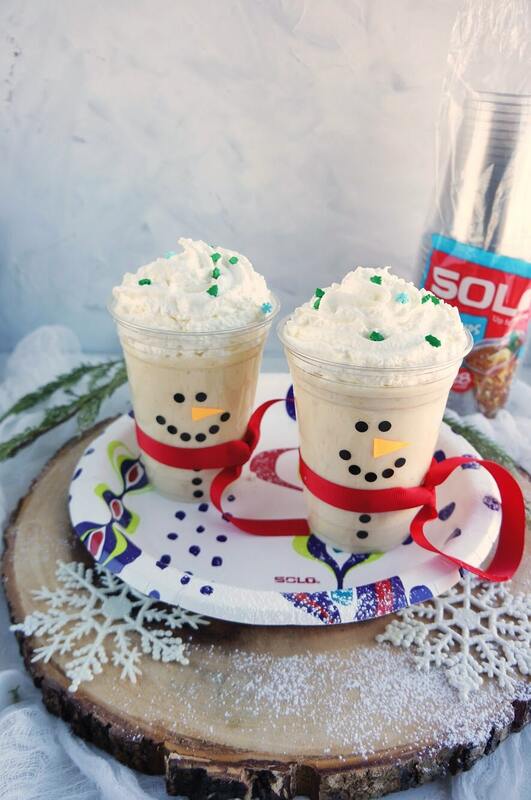 Pour into your snowman smoothie cup. If you’re feeling the need for a little extra sweetness, add some whipped cream on top, and stick in a striped paper straw. Breakfast is served!